Custom-made luminaires provide a moonlit walk in the workplace. One of Mayfair’s finest squares is home to Vedanta’s new headquarters, where the inside is as exclusive as the outside. The refurbished office space exudes high-end and is full of innovative, chameleon-like design details. 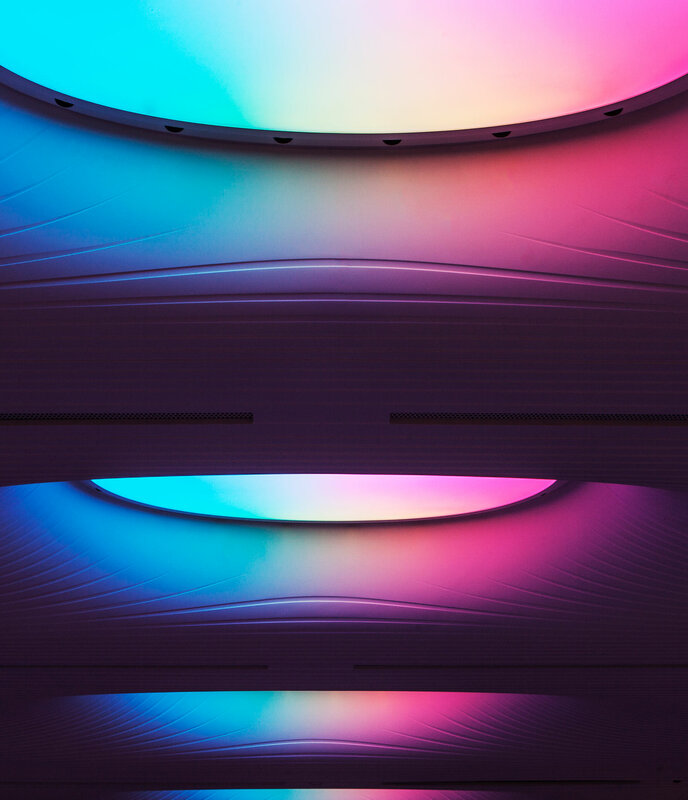 As part of the lighting scheme for the communal areas and meeting rooms we were tasked with turning the impressive Corian ceiling into a stunning diffuse light feature, through a series of colour-changing oculus luminaires. We designed and manufactured 15 light fixtures referred to as “moons”, along with one large “sun” for the Chairman’s office. The custom pieces are made from a combination of sheet metalwork and dome-shaped diffuser, vacuum formed from a matt finish acrylic. They were recessed in to the sculptured Corian ceiling and mounted to a strut, and then sealed – to millimetre accuracy – in place. The statement installations add a sense of otherworldly, celestial drama to the space; as people walk through the “hallway of mirrors” the interactive luminaires come alive, reacting to movement with a range of hues. 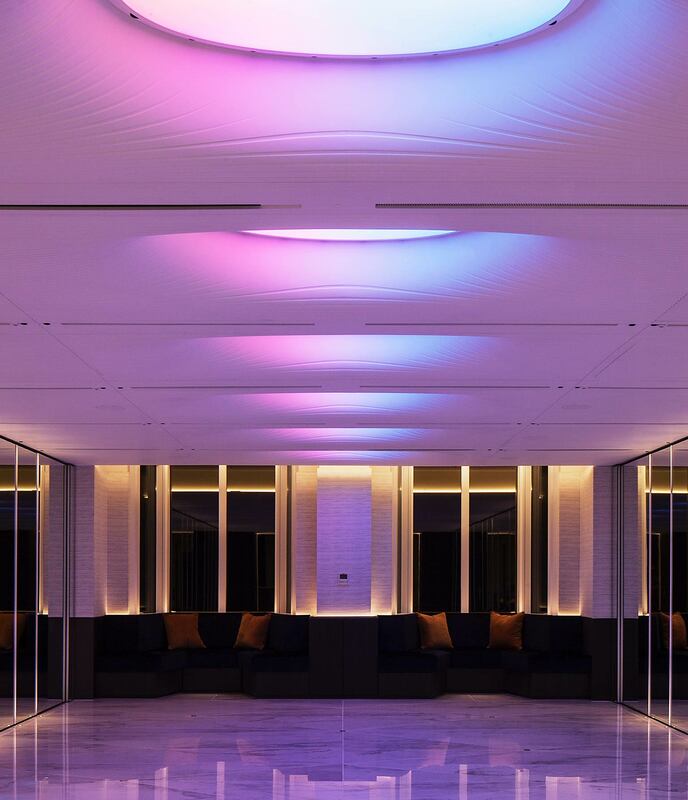 The surrounding downlights create a shaft of light reinforcing a sense of daylight cascading into the space, which bathes people in a pool of illumination. The moon and sun luminaires work with the flexible office space by providing a variety of lighting scenes that can instantly change the ambience and tempo. LED pixels within the main body of the installations can be individually controlled, by a custom-designed lighting system, to create dynamic white light effects for day-to-day use and a multitude of vibrant colour-changing effects for events.